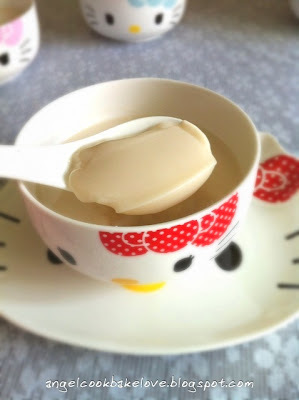 1) Dissolve agar-agar powder in one cup of soya milk. Pour remaining soya in a saucepan and heat up over low heat. 2) When the soya milk becomes slightly hot, add the soya milk/agar-agar powder mixture, cook over low heat, stir from time to time till very gentle boil (only see bubbles at the edge of saucepan) and continue to simmer over low heat for about 1 min. Remove from heat. 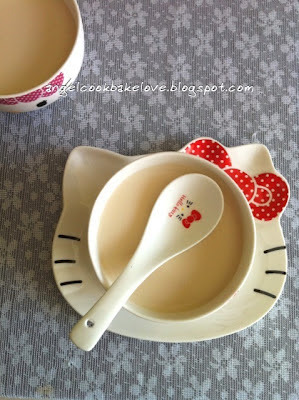 3) Pour the soya milk into containers gently over the back of a tablespoon to avoid air bubbles. Scoop away bubbles on top (if any). Cool down to room temperature and refrigerate till set (about 3- 4 hours). Best chill overnight. Serve immediately after taking out from fridge. My first experiment was also using agar agar and it turned out beautifully. Somehow my success rate using instant jelly wasn't good. 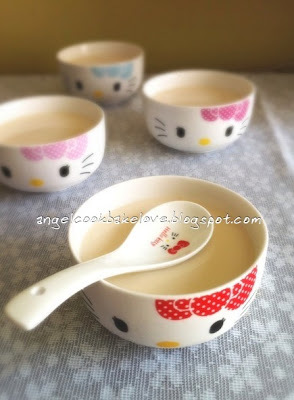 Yours look yummy and I want to make some when I get to the supermarket. Remember to stock some on ur next trip to supermarkey. Yes. Very easy. This is the way my family like it. Thanks for your offer. It's so sweet of you but I don't want to trouble you to send from Msia. The smallest size sold here is 250g. 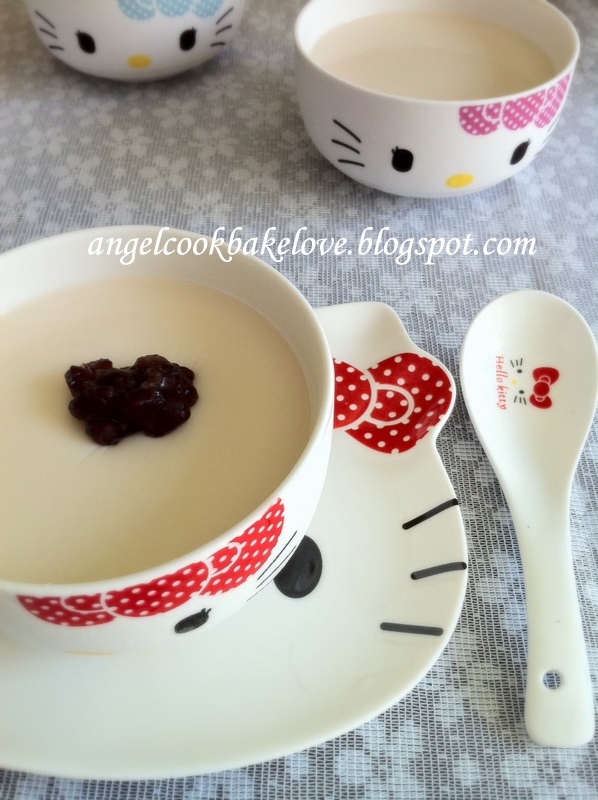 One recipe use about 20g, so it is actually not a lot if make often. I wanna try this, looks like lanpan tou fa in sg! My fav! Any brand of soya drink will do? Thankew!! Yes any brand will do but need to use the box type on shelf not in the fresh milk section. For this, I use vitasoy.